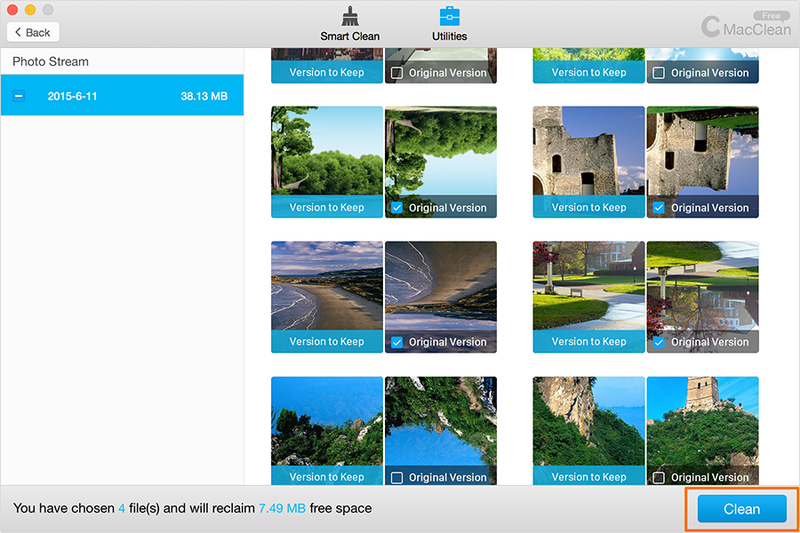 To fit your viewing angle, iPhoto automatically rotates the imported photos that may create duplicate copies for the same image. MacClean helps remove these junks with easily. 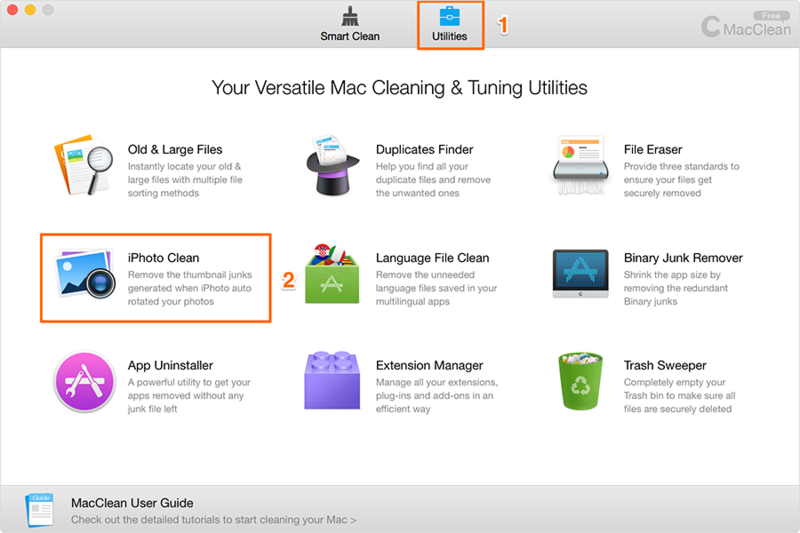 Since iPhoto has been renamed as Photo and was withdrew from AppStore in January 2015, it may not exist on some new Mac computers. 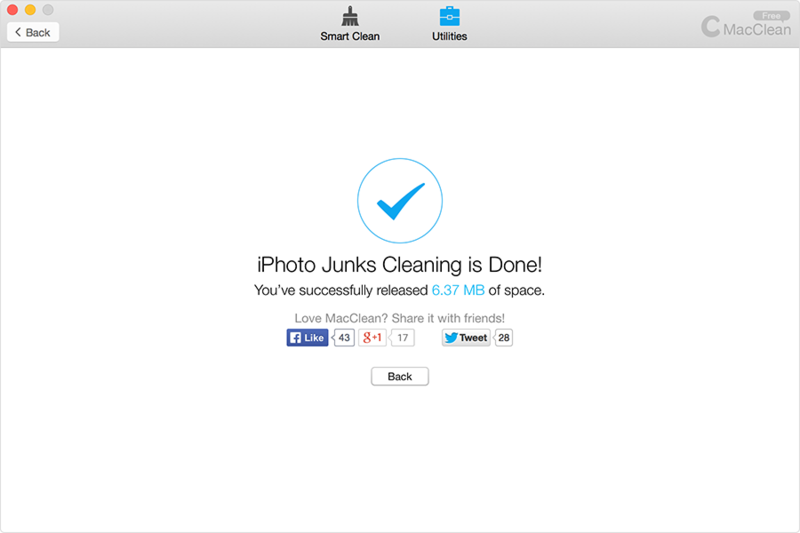 In the operation result window, you can share MacClean with friends if you find this feature is useful to manage your photos.